K-8 Sierra Vista Student of the Month recipients showcase their certificates. The last week of January marked one of great celebration at CAS school. Not only were over 150 k-8 student eligible to participate in our annual ice cream social for honor roll and high honor roll, but also National School Choice week facilitated review for reasons CAS is a great school choice. 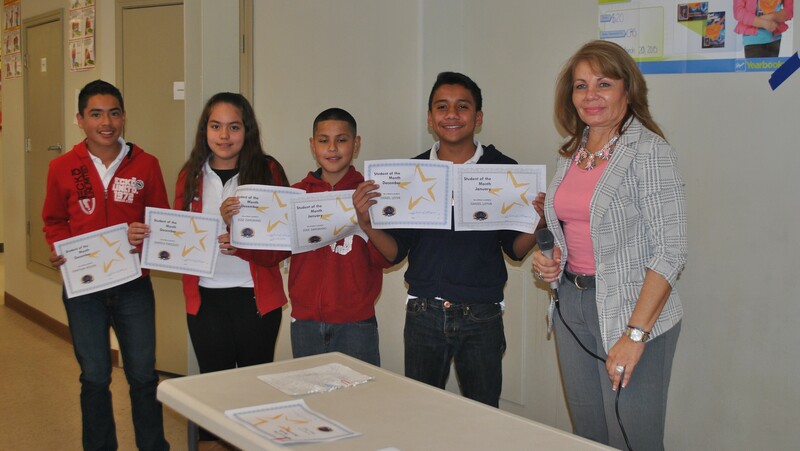 Students pose with Principal Munguia displaying their certificates. Additionally, Friday marked our monthly celebration of the Student of the Month — an award given to the student who has exhibited excellent character and academic work (See photo above). Congratulations to all of the students we were able to honor this month! Our students and our great teachers are one of the many reasons why CAS continues to be a great school choice!